The stock market is considered as a good source of extra earnings and wealth accumulation. It helps in attaining financial security. But at times people tend to lose money in the stock market as well. With the soaring prices and rising inflation, it is very important to have some extra earning. The stock market is considered as a good source of extra earnings and wealth accumulation. It helps in attaining financial security. But at times people tend to lose money in the stock market as well. Not everyone who invests in the stocks market is successful, as a new investor you must make decisions carefully so as to avoid loss. Profit or loss in the stock market largely depends upon the decision-making ability and choose the right stock at the right time. Overshadowing of emotions over judgment: In this case, people often fall into the emotional pits and tend to overlook analysis and judgment causing blunders. These emotions could be the fear of getting failed, greed to earn more profits or simply anxiety and impulsiveness. These affect the decision-making ability of the investor in a negative manner. A few such decisions which could prove disastrous for the profits are creating heavy positions in futures or investing largely in unknown companies etc. Hence, experts advise that one must lay emphasis on the judgement i.e. proper research and analysis, rather than going for theemotion-driven approach. Making a narrow portfolio: At times, the investors tend to invest in a small sector with limited options and doesn’t open up to other possibilities by restricting one’s portfolio and keeping it narrow. In such situations, the risk quotient remains high as it gets placed on a particular sector. This means if the sector of investment suffers tough times, then you are likely to suffer hefty loss. On the other hand, if the portfolio is made broader by investing in different sectors, the risk quotient gets dispersed. In this case, even if one sector face lows the other sector compensates for the losses. 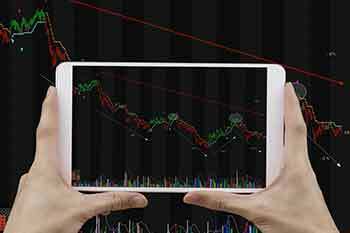 Investing in stocks rather than businesses: Another common mistake is when investors invest in stocks looking at the prices without getting into the details of the business. Often the price of the stocks are deceptive in nature due to volatility and fluctuations and can bring in hefty losses. These are often dependent on temporary factors, causing an illusion. When to enter or exit the market. Future scope of the stocks. Thus, the experts advise to invest in businesses and not in stocks. Following herd mentality: Often going by the hearsays and following a herd mentality cause losses in the stock market. Such practices do not yield desired output in long run. The reason for failure remains the lack of solid research as these are mostly influenced by acquaintances. These are kind of hit and trial in nature. Experts advise to always go for proper research and analysis, as per the financial goals and risk appetite than simply following like herd blindly. Indiscipline in the investment approach: Investment in stock market is a risky practice and requires lots of patience and perseverance. Any kind of casual or indiscipline approach can cause loss. If the investor doesn’t follow strategy with discipline, it results in failure most of the times. Experts say so as to attain success in the stock market disciplined approach, thorough monitoring, proper strategy and its implementation is required. Getting panicked by the losses: Panic after suffering losses results in anxiety and wrong decision making which further magnifies the losses. You have to be prepared for all kinds of situations and deal them with calm and composed mindset. This will help you in decision making keeping all the aspects in mind and result in success. 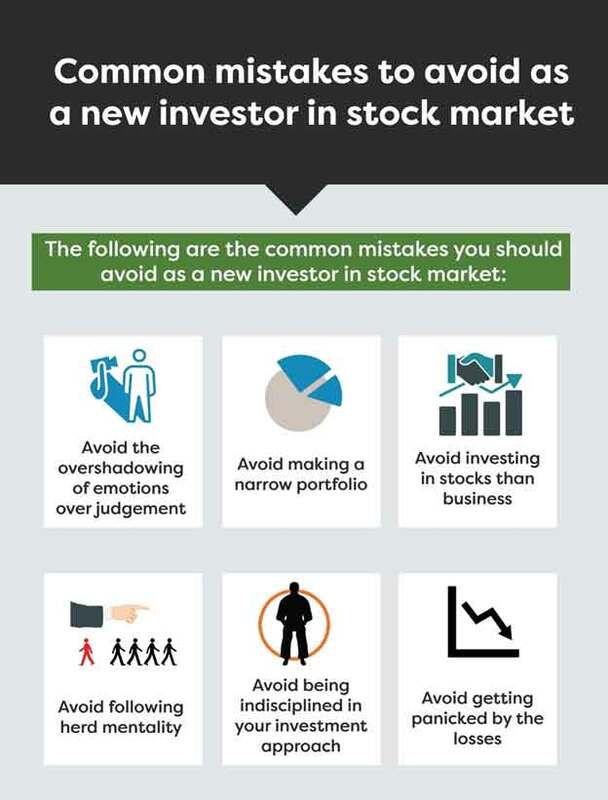 As a new investor knowing the common mistakes and avoiding them is very important right from the beginning to have better gains from the market. The above points could be helpful in avoiding the common mistakes and making better earnings from the stock market.